I admit that I did like Miss Peregrine when I first reviewed the film back in September. However, as it sometimes is with any second viewings, the allure of the film has been lost. Visually, Miss Peregrine is as amazing the second time around as it was the first. It’s not surprising as Tim Burton’s career-long love for the strange and the unusual is well suited for the material. He embraces this fantastical world where his Gothic visual style is on full display. He also gives typically dreary places some flair with the way that he frames the scenes. Unfortunately, the visuals never catch up with the scope of the film. As I’m watching it, I started getting a sense that the film should’ve been more charming and emotionally involving than what we got with the final product. Primarily, these issues stem from the rushed and exposition-heavy set up early in the film. This leaves the film a bit uneven and doesn’t provide much time for any backstory for any of the peculiars and Miss Peregrine. The peculiar kids just seem a bit soulless in their portrayals, except for a certain few. Ella Purnell and Finlay MacMillan have shown some personality while the rest of the young actors, Asa Butterfield included, give leaden performances. Samuel L. Jackson still is a fun villain as the hammy Barron. Eva Green’s one-note performance leaves much to be desired and it’s still Terence Stamp that provides the most memorable moments in the film, albeit in a small role. Overall, Miss Peregrine’s Home for Peculiar Children is a beautiful Tim Burton film that never finds its emotional core. Miss Peregrine is still one of Burton’s better films in the past decade, though. It’s entertaining and thrilling, to be sure, but it’s immensely flawed with this funky story mechanics and wooden performances. Miss Peregrine’s Home for Peculiar Children is presented in a 2160P HEVC H.265 encoded video with HDR and a 1.85:1 aspect ratio. The difference between the UHD Blu-ray and the 1080p Blu-ray isn’t as clear as night and day, but with the 4K upscale from the 3.2K ARRI ALEXA XT Plus cameras, the transfer is still an improvement. The HDR10 improves the picture quality of the film as the highlights have brilliant luminosity and the black levels are deep and never loses its shadow details. The details are superb even though it is slightly better than the regular Blu-ray. The colors are bright and reproduce the wide color palette well. Considering the cameras that were used, the entire film in incredibly sharp. Overall, this is a fantastic release. Miss Peregrine’s Home for Peculiar Children Ultra HD Blu-ray is presented in the Dolby Atmos format, but it is also presented in the core Dolby TrueHD 7.1 Master Audio track and the regular Blu-ray is presented in a DTS-HD 7.1 Master Audio track. The review will reflect Miss Peregrine‘s core Dolby TrueHD 7.1 Master Audio track from the Ultra HD Blu-ray. For the most part, the film is relegated to the front and center channels. The dialogue is crystal clear and the spatial sound effects are distinct. However, when the film stretches its legs then that’s when the audio becomes highly effective. The surround and rear surround channels boom with the extraordinary background sounds and impressive off-screen activity which brings forth a wide and spacious soundstage. Unfortunately, these scenes happen quite infrequently and won’t show off the power of your sound system. The special features on the regular Blu-ray feature plenty of long and informative featurettes. “The Peculiar Story,” “The Peculiars,” “Hollows and Ex-Hollows,” and “Map of Days” are all over 9-minutes long, so sit back and get ready for a long look at the film. “The Peculiars” is the longest featurette with a 65-minute long runtime. This detailed look looks at each of the peculiars as told through cast and crew interviews. Admittedly, this does get a bit exhaustive near the end of the piece. “Map of Days” is an interactive map which shows the locations of each time loop and how they work. As the name suggests, “Hollows and Ex-Hollows” looks at the villains of the film. “The Peculiar Story” has the author, Ransom Riggs, sharing the novel’s origins and other specifics. Of course, there are other minor special features such as Florence + The Machine’s music video, a photo gallery, and theatrical trailers. 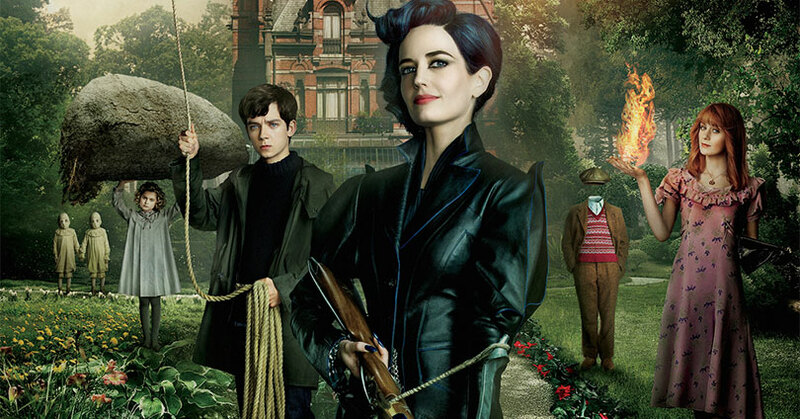 Overall, Miss Peregrine’s Home for Peculiar Children is a fine return for Tim Burton. The film may be heavily flawed but it’s compelling enough to keep you entertained for its entire runtime. The video and audio are really good but it won’t showcase the greatness of your brand new 4K system. There is an abundance of lengthy special features that’ll certainly appease your featurette needs.